As a kid you were always interested in the light boxes that doctors use to look at your x-rays. Well, you were really more interested in the bones being lit up for everyone to see. You had fractured your leg, and that’s when the obsession started. You wanted to be able to see all 206 bones (yes, even the three inner ear bones) of your body. But getting your entire body x-rayed can be expensive and dangerous. 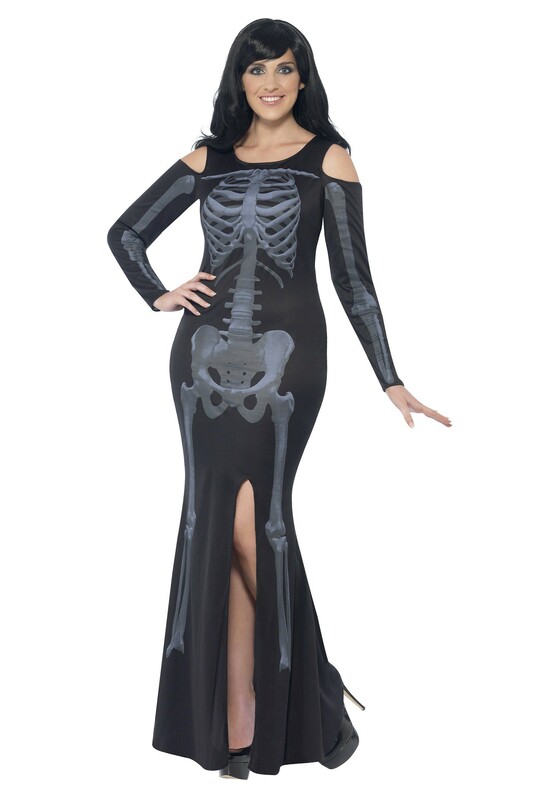 Well, now you can show off your beautiful bones with this Women’s Curves Skeleton Dress. It will give the illusion of you standing in front of a light box, your skeleton being illuminated like the x-ray of your leg as a kid. And you won’t even have to pay an arm, and a leg for it! (Yes, we have no pun shame.) You won’t even have your body exposed to radiation a million times, just click the “Add to Cart” button, and enjoy your own walking light box!